Wadjet- the serpent-goddess who appears in snake form on the crown of the pharaoh. Goddess of childbirth and protector of children. 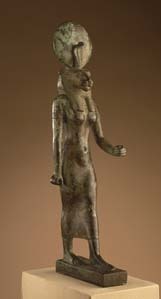 Goddess of Lower (Northern) Egypt (the Nile Delta). Shown as a cobra or winged cobra. Payni or Paoni: Wadjet is the Goddess of the month of Epipi or Epep-abet of the season of Semut (Summer), which was from approximately mid May to mid July. Statue of Wadjet Showing the symbol of Wadjet on the head of Tutankhamen's mask. This web site was made as a birthday present to Wadjet. 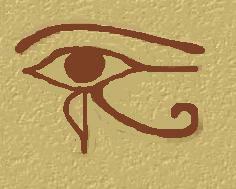 The design is copyright 2001 Felar and Wadjet. All Stargate and Andromeda characters copyright their respective company's. All original fiction character's copyright Wadjet.